The murder of two journalists in El Alto on 25 February 2012 has led to an intense debate about the justice system in Bolivia. 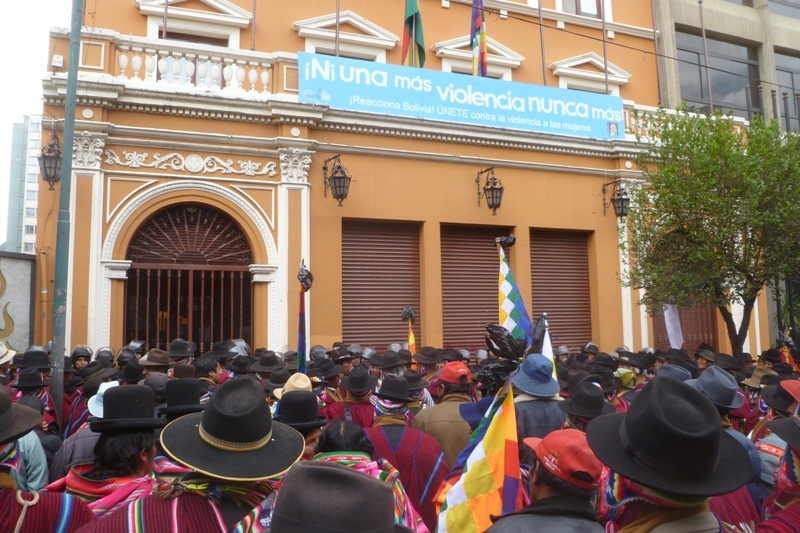 Indigenous communities from the Ingavi province (La Paz region) marched through central La Paz on 5 March (see video) to demand justice for the journalists from their province and also called for a death penalty in Bolivia. 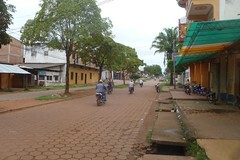 On 7 March Bolivian media reported two suspects were detained in connection with the murders. According to Regional police commander Édgar Carrasco there are just 2,550 police officers, with around 1,000 officers working at any one time, for the city of El Alto with a population of around a million. Representatives of the governing Movement Towards Socialism (MAS) party have said they will consider life imprisonment and concurrent sentences but will not change the penal code to introduce the death penalty because it would not comply with the Constitution approved in February 2009. The debate continues with some sectors arguing in favour of rehabilitation or improving the capacity of the judicial system to resolve cases. As well as the demand for a death penalty being controversial it is unclear how it would even be applied because in many cases there is a lack of evidence to prove a crime has been committed due to police lacking resources or mistakes in collecting evidence. With such a complex web of issues including policing and the justice system there will be no quick solutions for the many unresolved cases. To give a deeper insight into what is at stake, there are two interviews I did with those who marched on 5 March. I also include below an exclusive commentary by Susan Ellison, a PhD candidate in socio-cultural anthropology at Brown University. Susan offers her reaction to current events and analysis of the demands for justice in El Alto. More information about Bolivia´s process of judicial elections held in October 2011 from Andean Information Network and NACLA. What are you demanding on this march? We are all from Ingavi province in the countryside. I am from Jesus Machaca municipality. 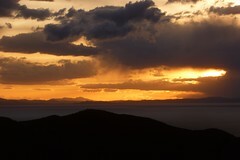 Some of us live in El Alto. 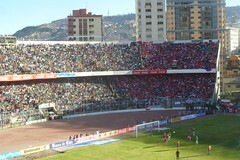 For example I live in El Alto and am a journalist. My nieces were killed, they were two Ayamara journalists who worked at radio San Gabriel and radio Pachakamasa, and also on a programme on state TV. At this moment there are no words. We are demanding justice like from where we are from. We are from the Ingavi province, nine Markas (indigenous communities). We want the death penalty or life imprisonment. The Justice Minister Cecilia Ayllón needs to comply with the law. What will you do if there is no progress in this case? This (march) is just one province. Then it will be twenty provinces and we will start a vigil until we get justice. Why does the justice system not work? Why do cases not get resolved? This is what we ask the government. Why does the system not work? We demand community justice. What is community justice? What are the principles behind it? It would take a long time to explain. In our Ayllu (indigenous community) we practice community justice. Each level of our community is well structured. Community justice is practiced when someone commits a crime such as robbery or assault. In our Aymara community there are no murderers, there are no lazy people or who do not work, no criminals. But if there are then there is community justice. Why have you marched today? I am a former leader from the Ayllu Yaoriri, Jesus de Machaca, indigenous campesino municipality. With many tears we have suffered in the last few days. We have been subjugated for 500 years since the European colonisation. With all respect and without offending you we are now suffering the results of the culture that invaded us. We will not put up with it anymore. We had a way of life, a way of justice, politics, structure, we had everything. But the things we are seeing are because of the system imposed by colonialism. Indigenous peoples have suffered in particular. 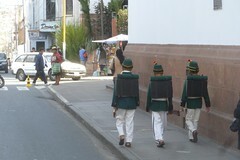 Here in La Paz I assume they are protected, but in El Alto, a city of 1 million people there are only 200 police officers. We think this shows the discrimination. This is what we are condemning, these criminals. We need to clean up once and for all, brush away with a broom. Because otherwise how we will guarantee the future for our children and grandchildren? We cannot allow this suffering to continue. That is why I say to you we will apply the most drastic measures, the death penalty, whatever is needed, indigenous campesino justice. That is how we will guarantee our future. We will not allow indigenous peoples to be exterminated. How can this situation be solved? More police in El Alto? That is one way. But we will also take precautions in our Ayllus (indigenous community) that have existed for millennia. We do not see these things like murder, it does not happen, in the indigenous campesino communities in Jesus de Machaca. But in this system with public and institutional authorities the norms they brought from Europe are violated and there is the kind of suffering we are seeing. What happens if there is a murder in a community? If this type of crime is committed there is permanent expulsion in either good or bad faith. This is what our ancestors and authorities have applied for thousands of years. Sometimes in those times there were more drastic measures. That is an alternative for us because we cannot wait for this colonial justice system that we suffer so much from. It’s important to contextualize the protests that were sparked by the specific deaths of Verónica and Víctor Hugo Peñasco. While their murders have been the flashpoint of recent mobilizations by social organizations, Alteños (residents of El Alto) have long-expressed profound anxiety about cogoteros (assailants known for strangling their victims) and other sources of “citizen insecurity” on the streets. Ironically, their deaths came on the heels of a much-publicized arrest of two cogotero groups in El Alto, with the authorities celebrating the capture as evidence of good police work. I think it’s worth noting the close proximity of those two events — the capture and photo-op with the suspects, and the protests over Verónica and Víctor Hugo’s deaths — because I believe they speak to a recurring tension in El Alto. It’s a tension between people’s desire for greater state presence in controlling criminal violence and their deep distrust of state institutions like the police and courts. I might read the protesters’ appeals to the death penalty in the same vein: They are simultaneously a recrimination against the state for its failure to address Alteños’ growing sense of dread and vulnerability, and a critique of state agencies for anticipated future wrongdoings. The statement, “If the government won’t do it, we will” reveals people’s belief that the state is unlikely to really fix the problem. And that “problem” of insecurity — its causes and potential solutions — is often quite elusive. “Security” is a ubiquitous topic of conversation in El Alto. Many Alteños perceive that violent crime is on the increase and expend a great deal of energy trying to identify and avoid dangerous people and places. Neighbors and friend advise each other on strategies for how to avoid rateros (thieves). They swap horror stories based on terrifying personal encounters, or share gristly rumors. Those dangers are both tangible and abstract. “Insecurity” has become a powerful trope for talking about a wide range of issues, from violent muggings to people’s generalized feelings of vulnerability in a city where many people must survive off of what they earn each day as market vendors or bricklayers. In people’s discussions of insecurity, physical violence and structural violence (e.g. economic vulnerability and social exclusion) often intersect. Thus my sense is that the deaths of Verónica and Víctor have allowed people to articulate those intangible fears and generalized anxiety in a more concrete public demand for attention from state institutions like the police. Yet at the same time, people are deeply skeptical of the justice system, police, and other entities responsible for investigating and prosecuting crime. Since the 1990s, Bolivian jurists as well as numerous foreign donors (Spain, Denmark, the World Bank, USAID, etc.) have spearheaded reforms to the justice system. Those reforms include training judges, prosecutors, public defenders, and the police force, and remaking Bolivia’s criminal procedures code, among other efforts. Nevertheless, the courts remain backlogged, and people can spend years waiting for their trial to even be constituted (that is, waiting for all parties to properly be served court summons, waiting for enough jurors/citizen judges to show up for a trial, etc.). People affiliated with the justice system hotly debate where to place blame for the perceived failure of those reform efforts. Some blame a lack of political will, while others argue that donor agendas didn’t reflect real local needs, among other causes. Of course all reform agendas and aid interventions have unintended consequences, and indeed those reforms may have inadvertently introduced further delays. But when it comes to the intersection of economic insecurity and criminal violence, it is unclear whether “fixing” the justice system would really get at the root causes of people’s problems anyway. As people continue to try to concretize those anxieties, it will be important to watch which groups are targeted as sources of criminal violence, whose livelihoods are criminalized, and how social organizations rally people (and state agencies) to mobilize against them. 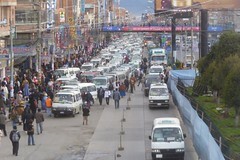 And of course El Alto is a city that relies heavily on transport as a source of income. I’ll be curious to see how transport unions respond to efforts to further regulate their work, even as many transportistas — especially cab drivers — also see themselves as cogotero targets. 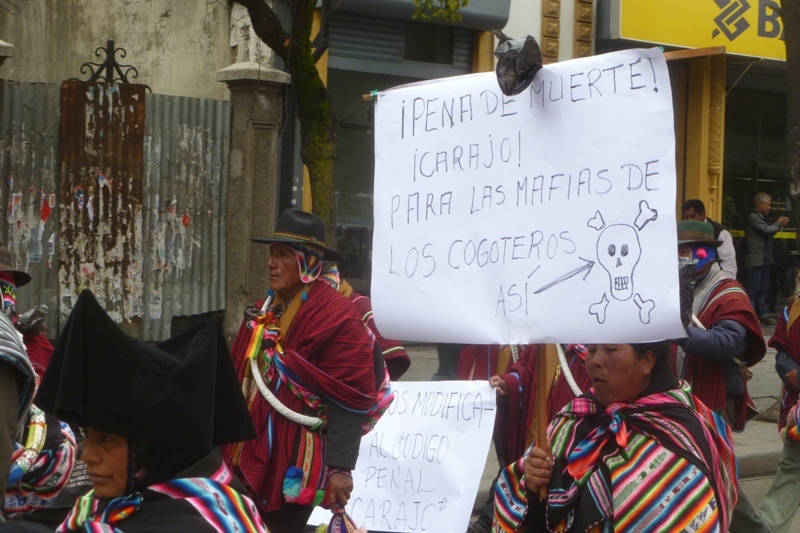 Finally, Scholars and community leaders have tried to distinguish the killing of suspected thieves in El Alto – and elsewhere – from “traditional” or “community justice” as it is practiced by indigenous groups. 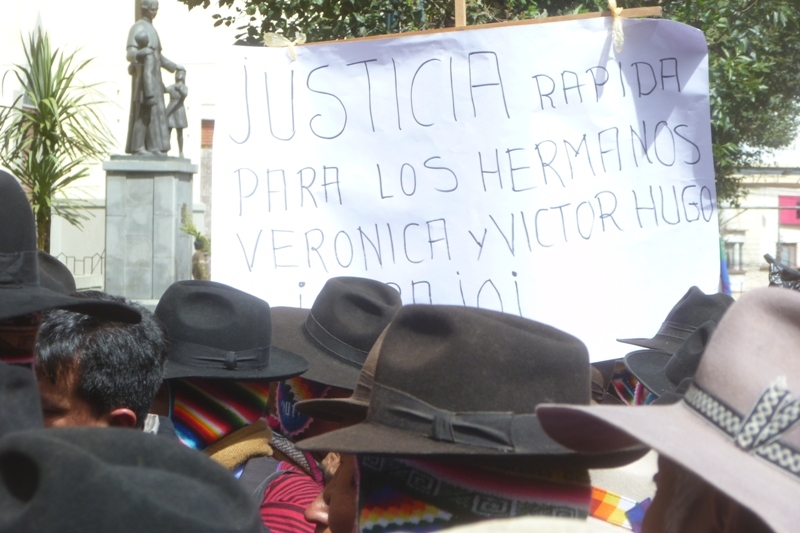 Despite efforts to have a more nuanced conversation about lynchings, they continue to haunt debates about “community justice,” especially as Bolivian lawmakers and local leaders are working-out how to meaningfully incorporate indigenous autonomy within the Plurinational State. 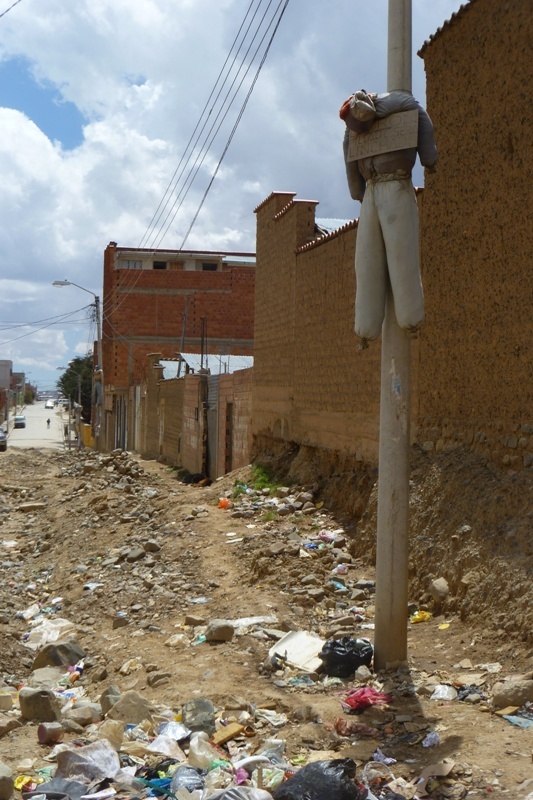 Was in El Alto earlier this year and saw the hanging effigies with placards – if the police and justice system was seen to work there would be less of a need to revert to traditional local justice and vigilantism. \whatever works – people need security.